On the banks of the South Fork River, come discover your next epic adventure. 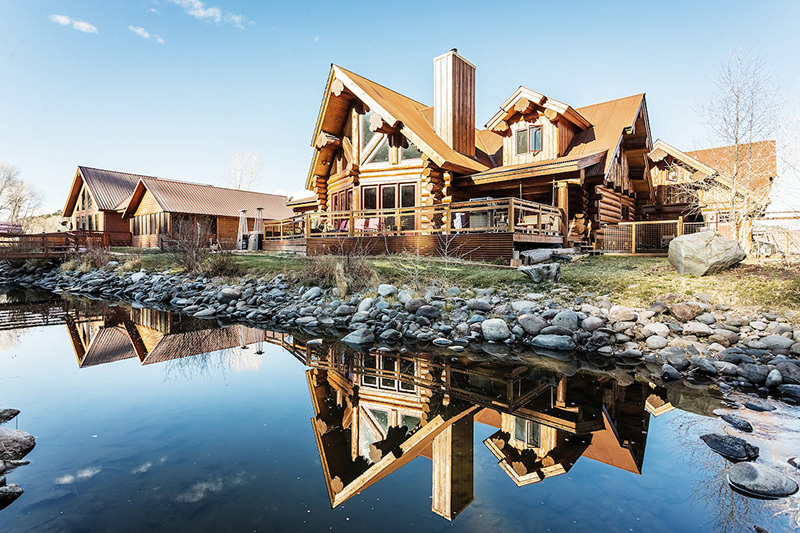 The Cabins at Rivercrest offer unparalleled luxury in two custom, riverfront log homes. Explore our truly exceptional amenities and imagine your next getaway with us. Private game room + lounge boasting fireplace feature wall, 18’ shuffleboard table, pool table, seated game console, built in wet bar, Electrovoice sound + DJ system, and 125” movie screen with lounge area. Game room convertible to reception space with reserved event. Nestled in the San Juan mountains, just 15 minutes to Wolf Creek ski area, South Fork, Colorado is located in the heart of the Weminuche Wilderness and was designated “Colorado’s Top Small Adventure Town” in 2015 by Elevation Outdoors. Tucked into the San Luis Valley’s southwest range, South Fork’s year round outdoor playground offers skiing, hiking, biking, backpacking and white water rafting in Colorado’s largest wilderness area. Two Properties. One Great Adventure. Two on site riverfront cabins, rented individually or as property buyout, enjoy a well-appointed entertainment island with 365 degrees of flowing South Fork river. Envision your vows on your own private wedding island or gather your family or friends for an epic celebration. Fly fish off the back deck or enjoy the amenities like our gazebo, cooking firepit, horseshoes, outdoor games, and lounges that adorn the island…little will compare to the glitter of the stars next to a firepit on a clear mountain night.